Dana Goward is president of the Resilient Navigation and Timing Foundation. He is the proprietor at Maritime Governance LLC. In August 2013, he retired from the federal Senior Executive Service, having served as the maritime navigation authority for the United States. As director of Marine Transportation Systems for the U.S. Coast Guard, he led 12 different navigation-related business lines budgeted at more than $1.3 billion per year. He has represented the U.S. at IMO, IALA, the UN anti-piracy working group and other international forums. A licensed helicopter and fixed-wing pilot, he has also served as a navigator at sea and is a retired Coast Guard Captain. 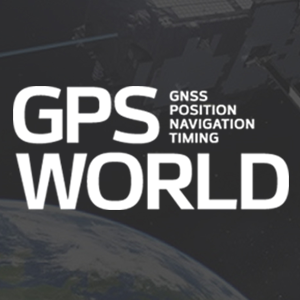 $15M for GPS backup demo part of Congress’ march to terrestrial PNT Posted on 16 Jan 2019 in the Featured Stories & GNSS & Latest News categories. GPS to get terrestrial backup system Posted on 05 Dec 2018 in the Defense & Featured Stories & GNSS & Latest News categories. DOT ignoring GPS vulnerabilities — again Posted on 30 Nov 2018 in the Featured Stories & Latest News & Transportation & UAV/UGV categories. GPS disrupted for maritime in Mediterranean, Red Sea Posted on 15 Nov 2018 in the Featured Stories & GNSS & Latest News & Transportation categories. Expert Opinion: Spoofing attack reveals GPS vulnerability Posted on 08 Aug 2017 in the From the Magazine & Opinions categories.